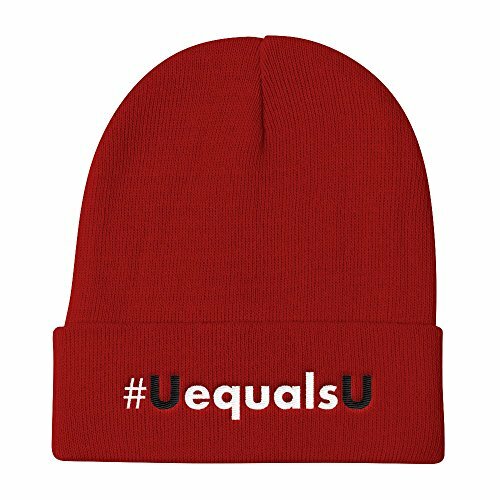 HIV Undetectable Equals Untransmittable Hat - RED Unisex One Size knit beanie cap fits most adult men and women. CUSTOM MADE IN USA: Please allow 7 days for printing and HAND inspection. Exact placement varies slightly since each item is custom made. HIV AIDS AWARENESS EDUCATION: Bring awareness by wearing this hat to an HIV AIDS walk event. Snug, form fitting warm winter hat for men or women. Made from 60% Cotton 40% Acrylic. Premium quality - made in the USA.